Domaine de Triennes was founded in 1989 by two superstars of Burgundy, Jacques Seyss of Domaine Dujac and Aubert de Villaine of Domaine de la Romanée-Conti. This estate, high up in the hills of the Var region of Provence, is fast establishing itself as one of the finest in the region. 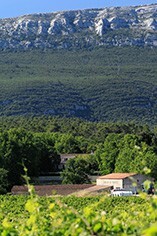 Situated deep in truffle country, vines have been grown here for two thousand years. The name of the estate comes from the triennia, the festivities held in honour of Bacchus that took place every three years in Roman times. This 40 hectare domaine boasts a range of grape varieties including Syrah, Viognier, Carignan, Cinsault, Chardonnay, Cabernet Sauvignon and Merlot. The cool nights and slow ripening produces top quality fruit that is shaped into ripe but extremely elegant wines by Jacques's talented son, Jeremy, who runs the estate. 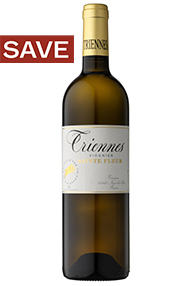 Domaine de Triennes have an organic Ecocert certification and their St. Fleur Viogner is certified Biodynamic as of the 2011 vintage.